It’s a story we’ve all heard many times around the office here at Hawken Energy. A long, long, long, long, long time ago Bruce, Hawken’s Executive VP and co-founder, used to work at a car factory. His job was to drive the vehicles from the end of the production line into the gigantic, tightly packed storage lots. With barely enough room to open a door he would race these brand new cars down narrow lanes and into slender little parking spaces. Once he broke off a rear view mirror. He didn’t report the mishap to a superior or get the broken mirror replaced. He simply added a line to the note on the windshield of things that the dealer would have to fix before selling the car. His point with this story was to tell us how things used to be. The dealerships were expected to correct the actions or mistakes of the factory. Cars were regularly shipped in less than perfect condition and it was up to the car dealerships to correct the problems. With time came improvements in quality control and higher expectations of dealers and customers alike. Today everyone expects something from a factory to look and work like new. And they should. We at Hawken Energy take the quality control of our products very seriously. Every product undergoes many inspections as it moves through the levels of production. From the initial steel inspections to weld testing and pressure testing all the way up to the final paint touch ups, every unit we make is handled with care and shipped in tip-top shape. Our HE furnaces have 121 points of inspection throughout the production process. The GX10 has almost twice that as they are more complicated to build. Every furnace we build is tested for strength in the welds. Right from the start, red dye and a drawing agent are used to test welds before they are part of a sealed tank. Pressure tests are done not once but twice to insure that no unit leaves with a potential problem. Every unit is powered up and reviewed for proper function. We do our best to insure that every furnace works the way it’s supposed to when it arrives at the customer’s location. Cosmetically, every unit is reviewed as well. Before any furnace leaves our facility we make sure there are no scuffs or unsightly blemishes. Every unit is expected to look fantastic before it leaves the Hawken Energy lot. As a lead manufacturer of outdoor wood furnaces we have high standards and we strive to exceed the expectations of our customers with quality products at prices that beat the competition. 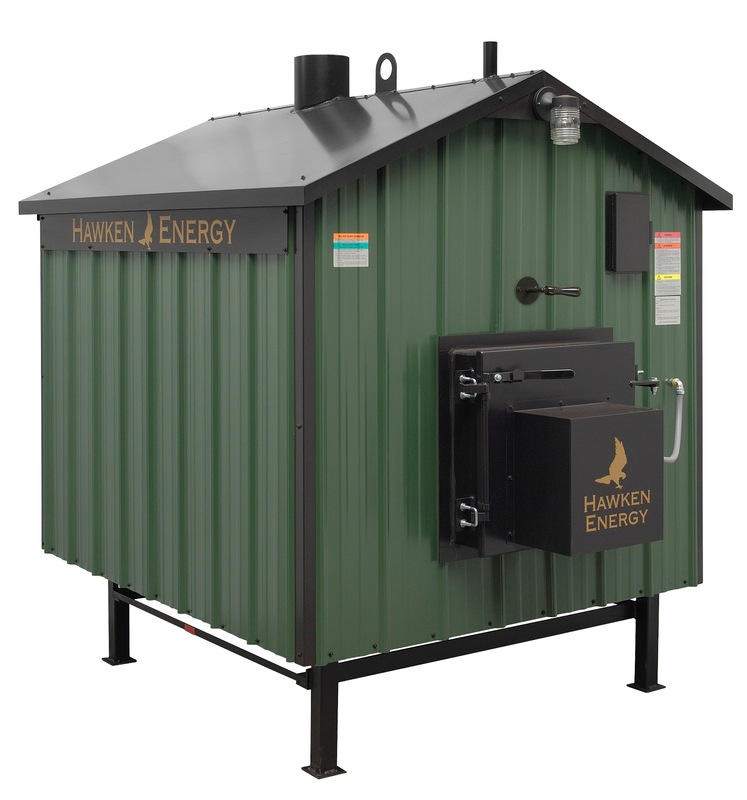 For more information on Hawken Energy or to find out how you can purchase a Hawken Energy outdoor wood furnace to heat your home or business contact us today. (231) 861-8200 or visit us on the web. www.HawkenEnergy.com.